Docklands, Melbourne VIC	Need Insurance? When you jump aboard the 40 STY, you'd be forgiven for thinking you were on a much larger model due to its generous length and beam. The single level cockpit and open plan living area adds to this feeling of dimension with large windows allowing for natural light to fill the area. The wide sliding glass door between the saloon and cockpit provides perfect visibility as well as offering a natural integration between the interior and exterior of the boat. The helm is elegantly styled and optioned with only the latest in technology to ensure the Captain's journey is both pleasurable and easy. A generous sofa is situated left to the helm to seat up to 8 people. Below deck, there is a spacious kitchen fitted with all necessary appliances including a large refrigerator and generous workspace to make entertaining a delight. The master stateroom is fitted with a double bed and private shower and the secondary cabin comes with 2 single beds that can be converted to a double, complete with its own private shower and toilet. Absolute Yachts are actually renowned as being IPS pioneers and have developed new innovation and technology by working direct with the Volvo Penta IPS to design and build their hulls. This means, their boats are absolutely, perfectly conducive to this brilliant technology, unlike other brands who simply add this technology to their antiquated and incorrectly designed hulls, which results in poorer performance and handling. 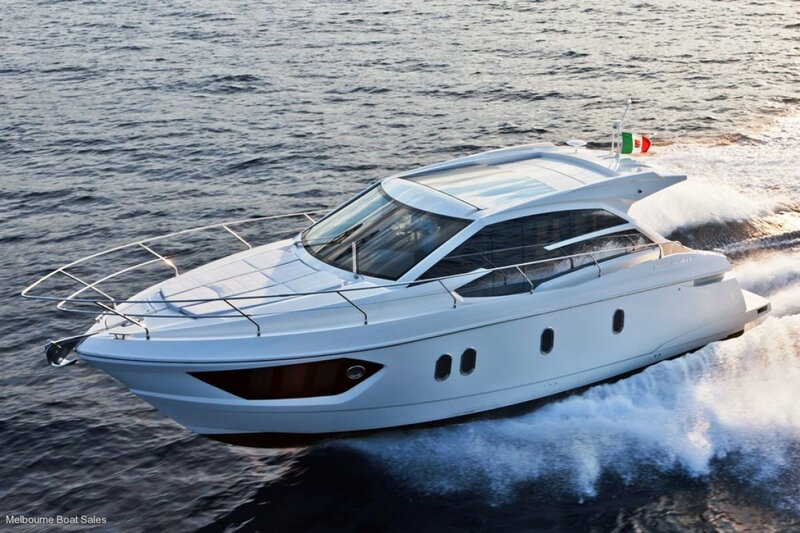 The above benefits will be immediately appreciated, not only for the Captain at the helm, but the comfort for his guests in the aft cabins are guaranteed due to the spacious configuration as less engine room is required. Upon boarding an Absolute model, you will instantly notice the space throughout, so much so, that an Absolute is often mistaken for a much larger model. This is due to the revolutionary Integrated Structural System, which was developed by Mr Sergio Maggi. The production of the internal supporting structure is made in the joiners workshop simultaneously with hull and deck moulding which is done in the lamination department. The structure is placed within the hull when it's still in the mold and it's bonded to it through stable structural elements. Hull and interiors are covered by the deck, which gets bonded to the structure in the same steady way. LET US MAKE BUYING YOUR NEW BOAT EASY. . . 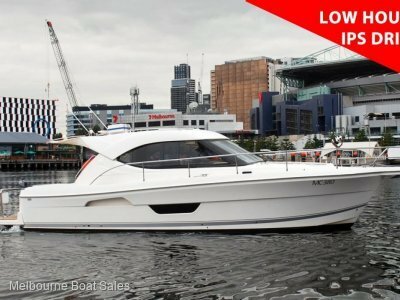 Located at the centre of Melbourne's boating hub, Docklands, we are Melbourne's leading dealer in new and pre-owned brokerage boats. We pride ourselves on providing the right advice to buyers by assisting them to choose quality vessels that really work for their individual and family requirements. Although Melbourne based, many of our clients are from interstate. Interstate buyers recognise the quality of Victorian vessels. We ensure boat owners are prepared to face the open water when they take delivery of their new vessel. Your enjoyment and safety on the water is top priority. Before we hand over the keys we take the time to ensure you are familiar with your new pride and joy. We can also offer assistance with Delivery (Australia Wide), Insurance, Finance, Boat Tuition and even finding a marina berth. 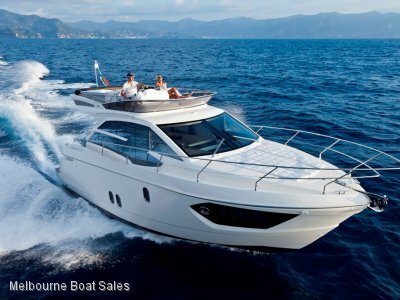 We invite you to take the opportunity to sell your boat through our experienced marine outlet. 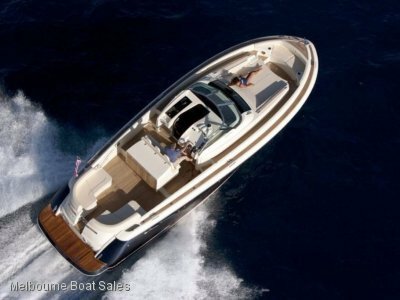 Our sales campaign is at NO COST TO YOU, until we are successful in the sale of your boat. Whether you're a first time boat buyer or experienced skipper, we are committed to ensure the journey of buying or selling a boat with us is a pleasurable one. Our commitment to excellence has been acknowledged by the Boating Industry Association of Victoria, with our appointment as a BIA Accredited Dealer. Whether buying or selling, please do not hesitate to contact us. We look forward hearing from you.